Napier, Boatright, Giffey & co. got it done. Ugly game at times, but this tournament was more about the fight in the dog than the dogs in the fight and there was just no team as hungry, scrappy, *and* talented as these Huskies. Being well-coached had a lot to do with it as well. Tonight, all eyes in Husky Nation turn to the women and their match-up against Notre Dame. 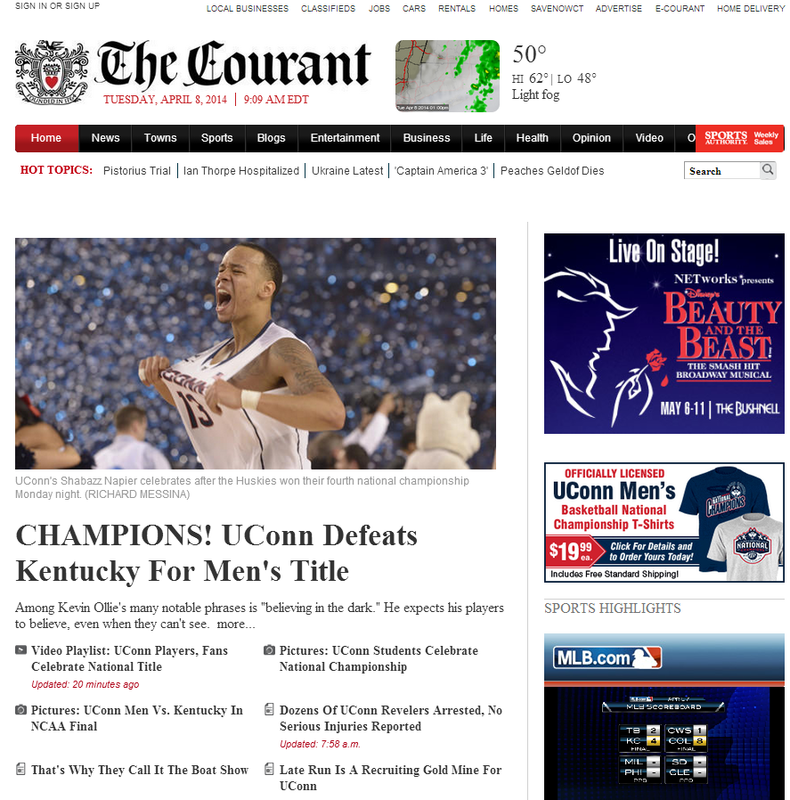 We've got a leg in pot, dual championships have only ever been claimed by UConn programs. Let's do it again!